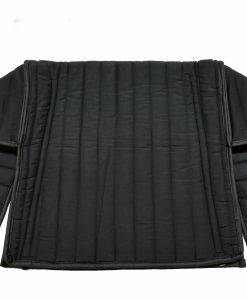 Designed to shield microphones from echo and reverberations. 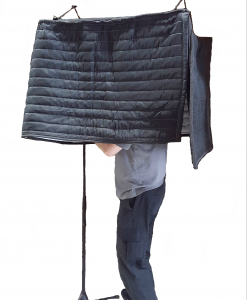 An important feature of the Portable Carry-on Vocal Booths is that they are completely mobile. 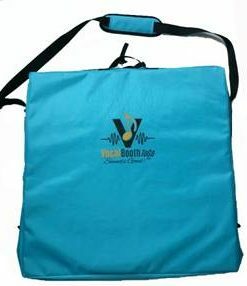 Their portability makes them ideal for making voice over or audio recording while travelling. 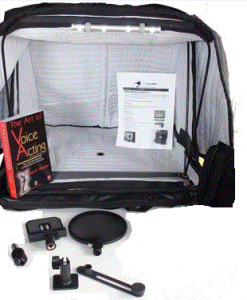 These vocal booths are designed for audio and voice over recordings on-the-go! 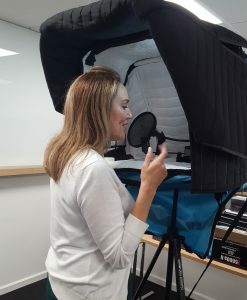 But it is also a great start up equipment for aspiring voice over actor, who cannot invest in a full scale Vocal Booth. 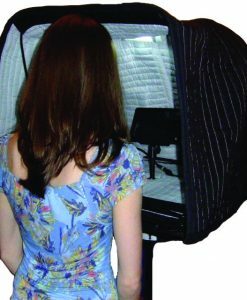 These truly portable and mobile vocal booths can be carried on a plane as a carry-on and can be set-up and operational in about 20 seconds and put away just as quickly. This product is much superior to a foam based Portable vocal booth for several reasons: Acoustic Quality. Voice actors who used the Carry-on Vocal booth compliments it on clear sounding recording, without boxiness or boominess that they had to deal with in foam based porta booths. it is also much more spacious inside compare to other booths, which is also makes it sound so good. Versatility. 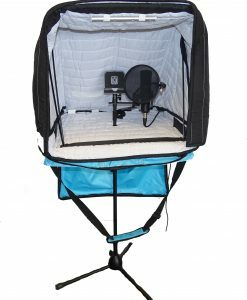 Carry- on Vocal booth Pro can be used as a table top, or microphone stand mounted, or even in hanging of a hook position. Once you get this booth there is no need to buy additional support shelves, just mount it on your mic stand. Longevity. 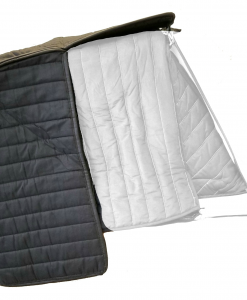 Unlike the Foam base booth our Producer choice acoustic material will not disintegrate and fall apart after a while. And it will not sag or lose its shape after extensive use on the road (unlike foam based products) Health. The sound absorbing cover of the booth can be removed and washed. 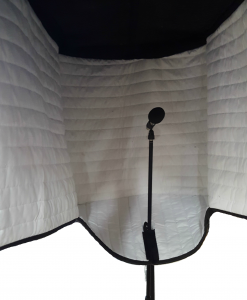 This is not so obvious, but Portable Vocal Booths holad a distinct advantage over foam based booths.